The timing isn't great, but Knicks fans sure aren't complaining. Knicks fans around the world woke up Wednesday to the greatest news they could have asked for: Phil Jackson is no longer team president. The news arrived overnight, from a combination of Yahoo’s Adrian Wojnarowski and ESPN’s Ramona Shelburne. 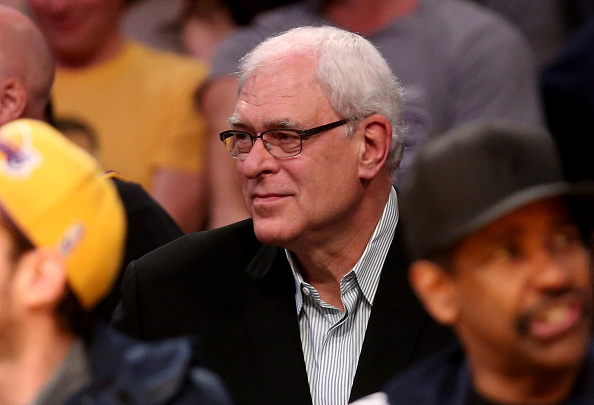 Knicks and President Phil Jackson are expected to announce that they're parting ways early Wednesday morning, sources told ESPN. Jackson spent three years as Knicks president, presiding over a trio of dysfunctional and loss-filled seasons in which his team straddled the line between a rebuilding young team and a (theoretically) competitive veteran one. Jackson frustrated Knicks fans to no end by forcing his outdated triangle offense, alienating Carmelo Anthony and going all-in on past-prime veterans like Derrick Rose and Joakim Noah. The city of New York nearly rebelled last week when word leaked that Jackson hoped to trade franchise savior Kristaps Porzingis. The Jackson era wasn’t all bad, of course. He did, after all, draft Porzingis, and he also… nope, that was actually it. The rest was pretty bad. But now the wicked witch is dead, even if the timing is a bit inconvenient. Jackson has left the Knicks days after the draft, in which the team selected a point guard specially suited for his system, and days before free agency, leaving general manager Steve Mills to steer the ship away from an iceberg. But Knicks fans aren’t worried about that. The guy running the franchise even deeper into the ground is now gone, and that’s worth celebrating. There’s certainly no guarantee the Knicks will be good or functional with Jackson gone, but at least now there’s a chance. Wojnarowski reports they’re pursuing highly regarded Raptors GM Masai Ujiri, who would be a shrewd hire. We’ll see how owner James Dolan and company manage to screw this one up.